The holiday season is the perfect time to show your child's teachers how much you appreciate them. Children spend a major amount of their day with their teachers, creating a strong bond between the two. If you are lucky, your child has teachers who spend their day lovingly engaging each and every student. My son has an amazing connection with all of his teachers at school, and he looks forward to celebrating his teachers during the holiday season. We always choose gifts that are eco-friendly and creative - as well as gifts that the teacher can actually use. 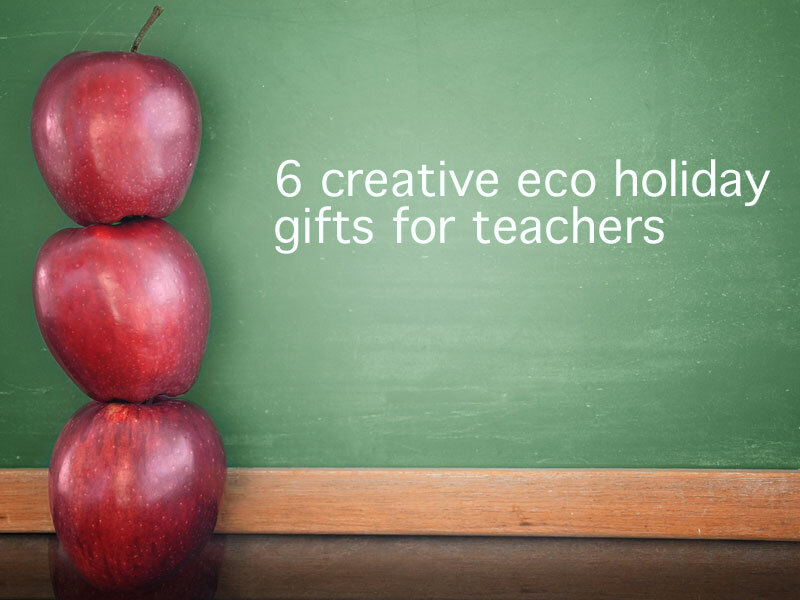 Read on to learn six of our favorite cool, creative eco gifts that kids can give to their teachers this year - all of which they'll be very excited to receive! Number one is our go-to teacher gift – every year that we give snow globe gift cards we are met with smiles from the teachers. 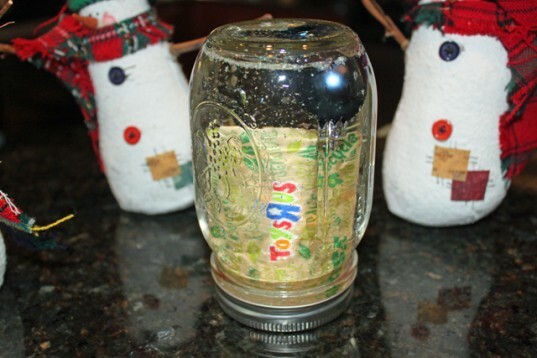 The best part of this gift is that you can easily make a snow globe gift card using a few supplies that you most likely already own. And you can customize the gift cards to your teacher’s needs! Who wouldn’t love to receive a homemade basket of fresh baked bread, cookies or cake? When we choose to give homemade goodies as a teacher gift, we choose recipes that anyone would love. Think simple, honey whole-wheat bread, chocolate chip cookies or a lemon pound cake. We always wrap the goodies in a beautiful, vintage dishtowel and tie it up with baker’s twine! If you aren’t in the mood for baking, you can order a fresh organic, vegan loaf from Figgy Bakery. If there is a symbol that is synonymous with teachers, it is the apple. 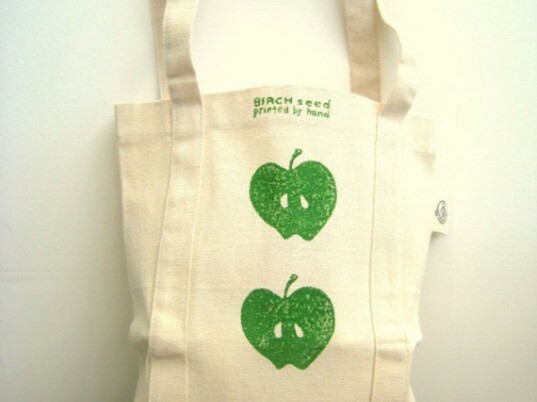 We have purchased plain organic cotton tote bags and stamped them with an apple design using a 1/2 apple and vegetable based inks. This is the perfect project for very small children and when you are finished you can stuff the bag with school supplies that your teacher will need. If you aren’t feeling crafty, I love this organic apple print bag from The Organic Mamas. Who doesn’t love a succulent – they are just too cute not to love! We have planted tiny succulents in mason jars and adorned with a ribbon and tag. It is a gift that teachers can enjoy on their desk at school since it won’t need to be watered often! If you don’t have a green thumb – lucky you, you can order yours through Lumber Jack Lad. There are a ton of great DIY jewelry projects that your child can make using recycled items. We have used everything from food packaging to nuts and bolts from dad’s toolbox to create fantastic jewelry that anyone would enjoy. This is a great project if you have older children who like doing crafts. And your child will beam every time his/her teacher wears it! Not feeling crafty? 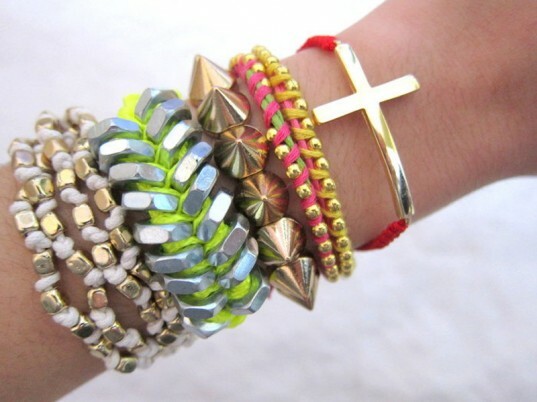 You can order these fantastic neon hex bracelets from Made Fabulous. Many teachers bring their lunch and coffee to school each day – since they usually need to stay on campus during lunch break. Have your child pick out a fantastic reusable lunchbox and coffee mug to surprise their teacher this year. We like to choose a design that reflects the teachers personality and my son has enjoyed seeing his teacher tote in her lunch and coffee each day in a gift that he picked out himself. 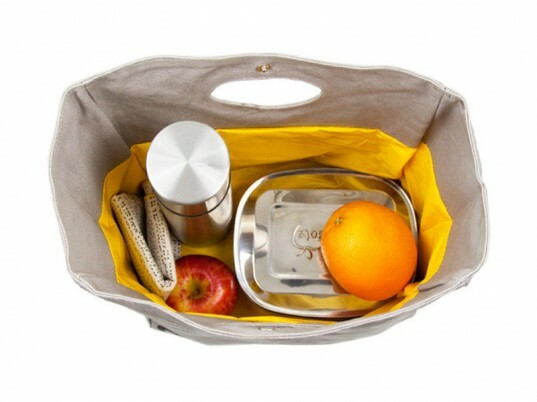 I really love this grub reusable, organic lunchbag from Fluf. Number one is our go-to teacher gift - every year that we give snow globe gift cards we are met with smiles from the teachers. The best part of this gift is that you can easily make a snow globe gift card using a few supplies that you most likely already own. And you can customize the gift cards to your teacher's needs! Who wouldn't love to receive a homemade basket of fresh baked bread, cookies or cake? When we choose to give homemade goodies as a teacher gift, we choose recipes that anyone would love. Think simple, honey whole-wheat bread, chocolate chip cookies or a lemon pound cake. We always wrap the goodies in a beautiful, vintage dish towel and tie it up with baker's twine! 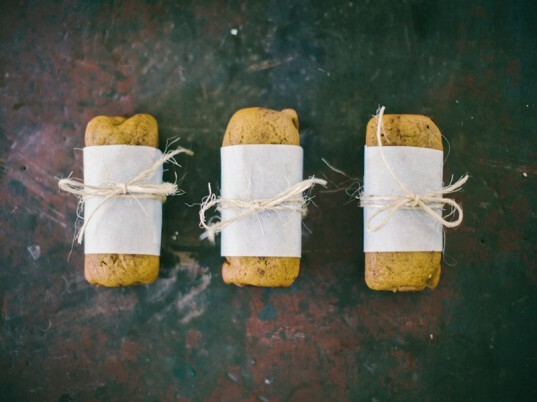 If you aren't in the mood for baking, you can order a fresh organic, vegan loaf from Figgy Bakery. If there is a symbol that is synonymous with teachers, it is the apple. We have purchased plain organic cotton tote bags and stamped them with an apple design using a 1/2 apple and vegetable based inks. This is the perfect project for very small children and when you are finished you can stuff the bag with school supplies that your teacher will need. If you aren't feeling crafty, I love this organic apple print bag from The Organic Mamas. Who doesn't love a succulent - they are just too cute not to love! 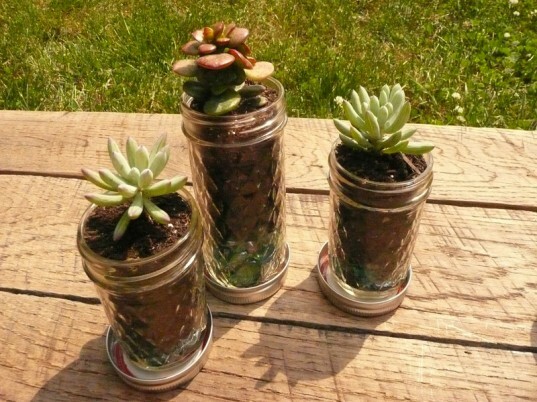 We have planted tiny succulents in mason jars and adorned with a ribbon and tag. It is a gift that teachers can enjoy on their desk at school since it won't need to be watered often! There are a ton of great DIY jewelry projects that your child can make using recycled items. We have used everything from food packaging to nuts and bolts from dad's toolbox to create fantastic jewelry that anyone would enjoy. This is a great project if you have older children who like craft projects. And your child will beam every time their teacher wears it! Many teachers bring their lunch and coffee to school each day - since they usually need to stay on campus during lunch break. Have your child pick out a fantastic reusable lunchbox and coffee mug to surprise their teacher this year. We like to choose a design that reflects the teacher's personality and my son has enjoyed seeing his teacher tote in her lunch and coffee each day in a gift that he picked out himself.